There is nothing more rewarding than being a parent, but, unfortunately, there is also nothing more stressful. Sure, you get to watch your children grow up and become the sort of person you’ve always wanted them to become, but it is also your responsibility to guide them and teach them to ensure that this happens, which is quite the daunting task. Every parent wants to give their child the best chance at success, and here are a few things that you can do to boost their chances. The most successful people are confident and sure of themselves, so it’s essential that you start teaching your child social skills as early as you can.This will help them to achieve at school, which will then increase their chances of getting a great job when they’re older. To increase your child’s social competency, you should get them chatting to others as early as possible, by taking them on playdates and sending them to playgroups. Once your child is old enough, you should encourage them to participate in sports, whether this is football, dance, or martial arts. Of course, this is a great way to keep your child healthy, but it also helps them to develop their social skills, and learn about teamwork and responsibility, which is essential for school and the workplace. It is also great for boosting your child’s self-esteem, is a natural stress reliever, and is a lot of fun. Private school certainly isn’t necessary for a child to be successful, but it does provide your child with a lot of opportunities that they might not have gotten had they gone to a public school, like specific courses and advanced classes. If you’re considering private school, visit Educators for more information and advice. Private school is also great if you want your child to be taught according to your religious beliefs. 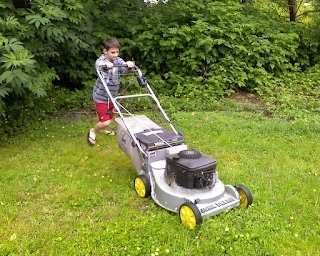 It’s important to start teaching your child about work and responsibility as early as you can by giving them chores. These can start small and simple, like putting their toys away and brushing their teeth, and should get bigger as they grow up, like mowing the lawn and taking out the bins. Giving them pocket money for completing these chores will also teach them to manage their money. Parenting, as I’ve already mentioned, is incredibly stressful, but it’s important that you manage your stress and reduce it where you can. If you don’t, you’ll pass your stress and feelings of negativity onto your children, and they’ll find it more difficult to cope with life. Reducing stress, unfortunately, is often easier said than done, but taking time out for yourself can be a lot of help, as is exercise and meditation. When it comes to ensuring your child’s success, there is no one-size-fits-all solution, and this can be stressful, especially for first-time parents. Luckily, the things that you do have to do are often small and simple, so keep calm. As long as you do your best, you’re doing what’s best.